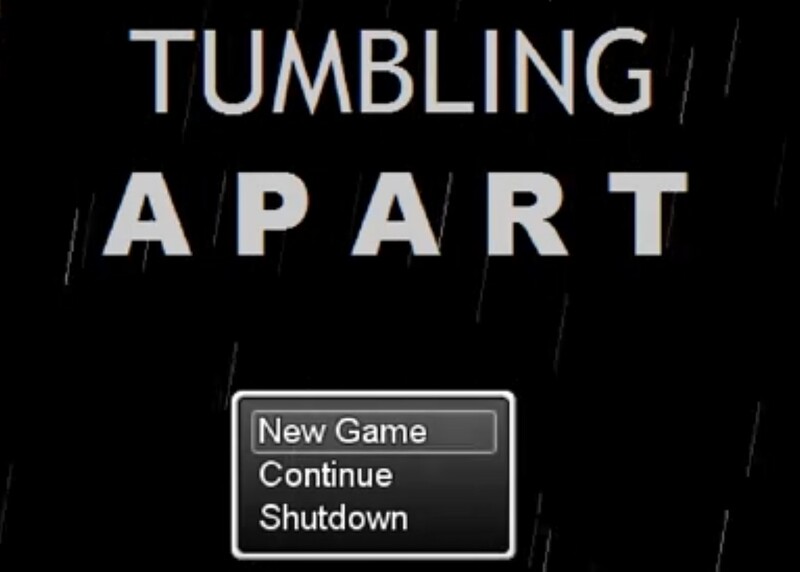 This month will mark the second year that Tumbling Apart has been in development, and the final one before it is released on Steam. During that time, there have been highs and lows, tears of joy and frustration, and a whole lot of learning. We're at a point in the project where we’re diving into the meat of the climax, and because Tumbling Apart isn’t so much a game as an interactive story, I don’t want to give anything away by revealing any screens. What I can do, however, is show you a bit of how much Tumbling Apart has changed over the course of its life. Disclosure: I’ve always considered myself a writer. 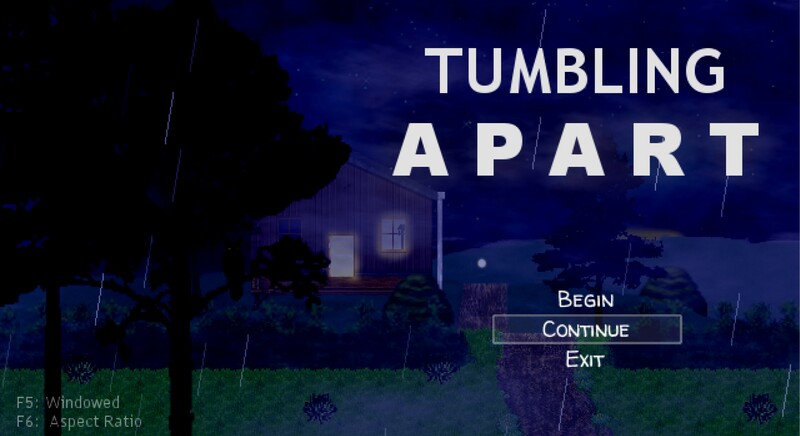 When I began work on Tumbling Apart, I made sure to keep that priority number one. It takes a team of dozens (sometimes hundreds), to create the visuals you see in modern AAA games. That’s a remarkable achievement and a testament to what a talented group can do, but it isn’t what Tumbling Apart aims for. I kept reminding myself throughout development: You don’t have throngs of gifted artists working on this game, but it only takes one to tell a story. Sure, neither is going to win any awards, but the newest doesn't look so... amateur. Plus, it sets the mood for player before the first line of dialogue even appears on the screen. It helps to create the tone. Again, no awards here. But the added touches in the finalized version bring just enough detail to facilitate that immersion within the player. There’s actual dust blowing, the words are no longer static, and Isaac’s hair waves in the wind as it pushes against him, threatening to drive him back. It isn’t much, but it all comes together to help that story feel just a bit more alive. Finally, you never want to look lazy. 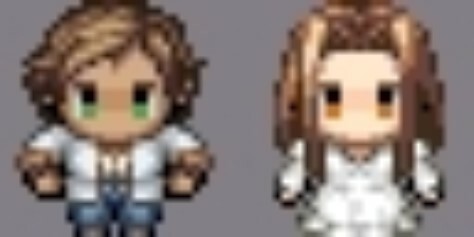 What are you going to think if you fire up a game only to find the sprites are the exact same stock assets you’ve seen time and time again? If the devs don’t care enough to even change the basics, how much attention have they given to the narrative? 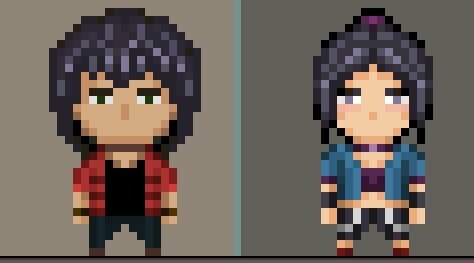 Now that we are approaching the end game, we can finally work on replacing the stock character assets. Here’s a peek at the old Isaac and McKenna beside the new, created by the talented Gustavo Santos.